The BJP and Nitish Kumar's Janata Dal United face a tough test of their relationship in the seat-sharing formula for the 2019 Lok Sabha polls. Bihar Chief Minister Nitish Kumar (left) with BJP chief Amit Shah (PTI). The BJP has begun testing the waters on seat-sharing with allies in Bihar ahead of the 2019 parliamentary elections, claiming earlier this week that it had worked out a deal that was fair to all while ensuring the NDA alliance wins every seat it can in a crucial battleground state. 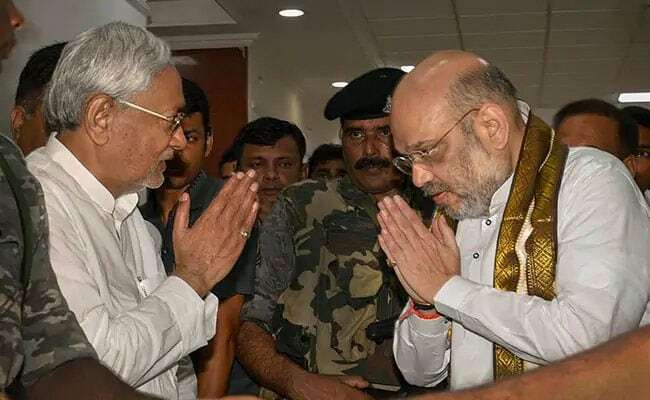 Under the proposed formula, the BJP will contest 20 of Bihar's 40 Lok Sabha seats and its main ally, Nitish Kumar's Janata Dal United (JD-U) will have just 12, while Ram Vilas Paswan's Lok Janashakti Party (LJP) will fight on six seats - the same number it won in 2014 - and Upendra Kushwaha's Rashtriya Lok Samata Party (RLSP), two. JD-U leader KC Tyagi denies anything has been finalised. "The talks are still on, so where have these figures come from? Besides, they are totally unacceptable to us," he said. The BJP's by-poll defeats in Uttar Pradesh and Bihar, followed by its failure to form a government in Karnataka, have encouraged the JD-U to raise its stakes and go for a larger share of the 40-seat pie. 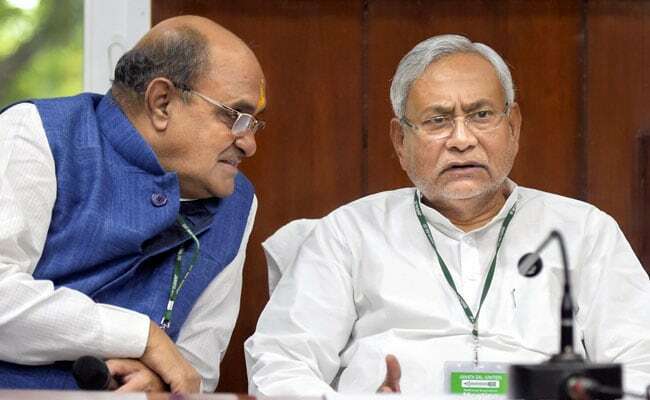 Ahead of its national executive meeting in July, KC Tyagi had even claimed that the "JD-U will be a big brother in seat-sharing for 2019 polls in Bihar". A senior JD-U leader told NDTV that of the 40 seats, the party wants 16, leaving 16 for the BJP, while the remaining eight seats will be for a mix of old NDA allies and new entrants - six for Ram Vilas Paswan, one for former RJD lawmaker Pappu Yadav and one for a rebel lawmaker from Upendra Kushwaha's party. 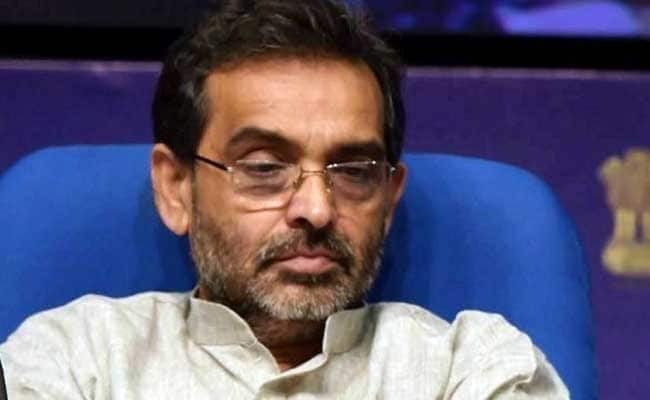 The JD-U's seat-sharing formula leaves out Upendra Kushwaha, an NDA ally whose party had won three seats in the 2014 polls. Interestingly, the formula was reportedly drawn up over a month ago, yet it was only this week that Upendra Kushwaha, for the first time, publicly hinted that he could cross over to the rival alliance - with the remark that "tasty 'kheer' can be prepared if the milk from the Yaduvanshis (Yadav community) and rice from Kushwanshis (Kushwaha community) is mixed together." Kushwaha has since backtracked, but JD-U leaders remain unconvinced. The JD-U's aggressive posturing on the seat-sharing deal ignores the new ground reality. In the 2014 elections, after Nitish Kumar opted out of the NDA over the projection of Narendra Modi as its prime ministerial candidate, the JD-U decided to fight alone and got the drubbing of its life, winning just two seats. The BJP won a staggering 22. Lalu Prasad's RJD and the Congress won six and two. The JD-U's argument that before 2014, it used to contest 25 seats and the BJP 15, has no takers in the BJP which has transformed into a mean election machine under its chief Amit Shah. "It was an old arrangement that has little relevance after the near decimation of the JD-U in 2014. 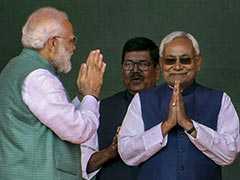 In politics, you are only as good as your last election," Arun Jha, a BJP worker in Begusarai, told NDTV. This seat was won by the BJP in 2014 and by the JD-U in 2009. Prime Minister Narendra Modi (left) with Bihar Chief Minister Nitish Kumar (file). "By that logic we can ask for 150-plus seats in the 2020 state assembly polls. We have 71 MLAs while the BJP has only 53, will they agree?" asks a senior JD-U leader who is also an aspiring candidate for the 2019 national election. The BJP is not buying into the arguments. "We won 22 seats last time, and we will contest all of them again. There is no question of sacrificing a single seat," one of the BJP leaders tasked with managing the party's election strategy in the state told NDTV. "At best, we can offer the JD-U 10 seats, nothing more," he said. "If the BJP does not agree, we are ready to contest alone,'' countered a member of team-Nitish, "After all these are the Lok Sabha elections and Nitish Kumar is not staking his claim to the prime minister's office, so we have less to lose than the BJP." 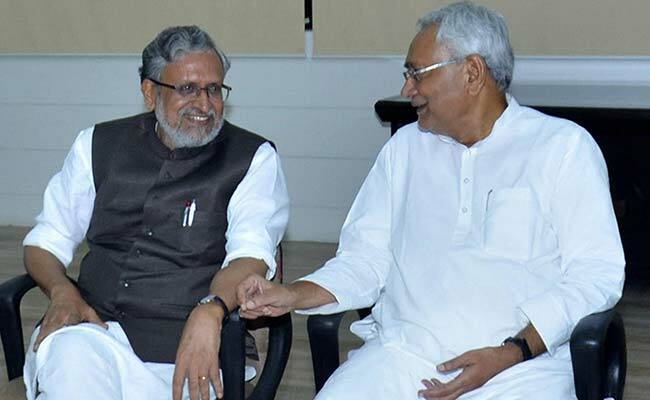 Bihar Deputy Chief Minister Sushil Kumar Modi of the BJP (left) with Nitish Kumar (File). The comment drives home the point that the Bihar chief minister is already looking beyond next year and gearing up for the 2020 state elections. But election managers in the BJP also know that Bihar in 2019 might not be a cakewalk as it was in 2014. 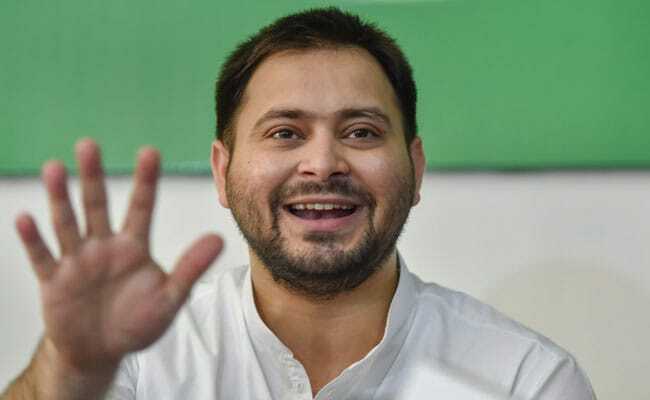 Lalu Yadav's younger son Tejashwi Yadav's political stock has been rising after the party's stunning victories in three of four by-polls held in March, and amid a deep sense of disappointment among the state's 16 per cent Dalits and 26 per cent economically backward castes, who see a failed promise of "achhe din". "These communities believe Nitish Kumar is well-meaning, but it's the BJP which has been pushing an anti-Dalit, anti-poor agenda. The centre's economic policies, especially GST, has also driven a large number of backward artisan castes, who had voted for Narendra Modi, to the brink. The BJP believes Modi is invincible, but the fact is that in Bihar, they need Nitish Kumar as much as he needs them," says Amar Azad, a Patna-based Dalit leader and state president of the Bhim Army. In an acknowledgement that Bihar is going to be no walk in the park, the BJP has sent CR Patil, a parliamentarian from Gujarat, to assist its general secretary Bhupender Yadav, who is in charge of elections in the state. Mr Patil was earlier assigned the task of delivering Surat, the bastion of the Patels, to the BJP during the Gujarat polls, at a time when the community was seen as having turned against the party. The BJP won all nine seats in urban Surat, which established Mr Patil as BJP chief Amit Shah's go-to man in a crisis. Mr Patil is also in charge of development work in PM Modi's Varanasi constituency. Right now the only miracle Mr Patil is hoping for in Bihar is a seat-sharing plan that is acceptable to all. "We are still working on it," is all he would say. The mistrust between the two allies continues to grow. The JD-U is convinced that in the last few months, a campaign to demolish brand Nitish has been unleashed by the BJP. The chief minister was made to look weak and ineffective after the centre sanctioned only Rs 1,700 crore for flood relief against his government's demand for Rs 7,636 crore. In April, aggressive Ram Navami processions led by local BJP leaders and their supporters led to widespread communal violence and tarnished the Chief Minister's reputation of an able administrator, besides alienating the party's all important Muslim voters - nearly 17 per cent of Bihar's population. 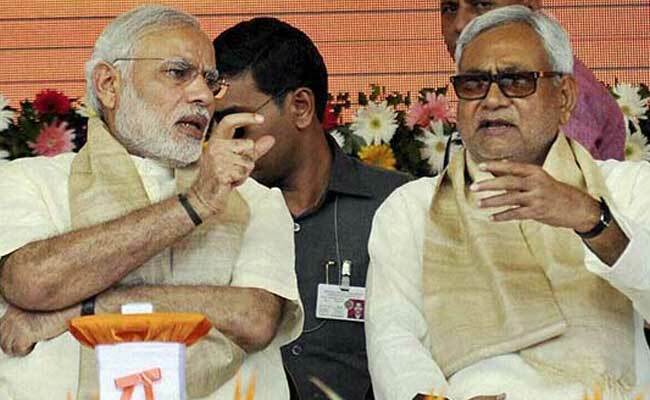 The Muzaffarpur women's home scandal has dented Nitish Kumar's image, BJP insiders believe. 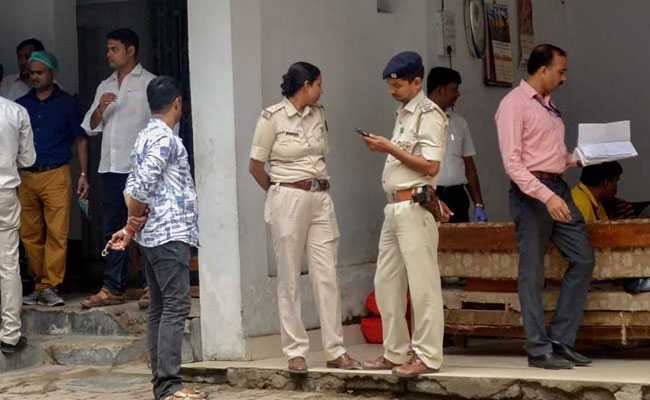 "But it's the Muzaffarpur shelter home case where minor girls were routinely abused that has done the most damage to his image. It had nothing to do with the BJP and everything to do with his poor handling of this horrific affair," says Mahesh Kumar, a member of the ABVP, the BJP student's wing. He believes the scandal will definitely become an election issue in the hands of the opposition parties, but will hurt the JD-U, and not the BJP. With time running out for the BJP and JD-U to sort out their egos, Tejashwi Yadav insists that UPA partners are on track with their tie-ups. He has already extended an invite to Upendra Kushwaha to join the RJD-led alliance. "And if Mayawati-ji wants to open the BSP's innings in Bihar, we are even ready to talk to her," he told NDTV.